NEW PATTERN: Scardey Cat Cardigan! As Halloween approaches, what cute little kitten doesn’t need a Scaredy Cat Cardi? With smaller circ needle and A, CO 46, 54, 64 sts. Do not join..
Switch to larger circ needle. Row 7: K 8(9, 11) [right front], pm, k 7(9,10) [sleeve #1], pm, k 16(18, 22) [back], pm, k 7(9,10) [sleeve #2], pm, k 8(9, 11) [left front].– 46, 54, 64 sts. Continue working in est stripe pattern until piece measure 8”, 9”, 9 1/2”/20.5, 23, 24 cm from under arms. Switch to smaller circ needle and A. Carefully remove waste yarn and place sts of one sleeve evenly on dpns; using next color in est stripe pattern, pu 2 sts at under arm. You’ll now be working in rnds. 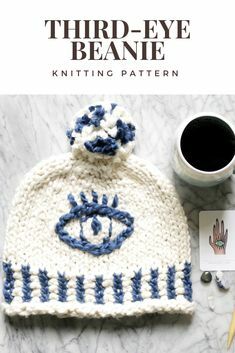 Rnds 1-4: Maintaining stripe pattern, knit. Rnds 1-6: With A, *K2, p2 repeat from * around. With larger circ needle, A, and RS facing, PU 65(69, 74) sts along right side of front edge. Rows 1, 2, 3, 4, 5, 7, 8, 9: Knit. Row 6 (RS): Knit, while evenly spacing 6 buttonholes as follows: wyif, sl next st purlwise; wyib (this will wrap that first, sl st), *sl next st, pass the 1st sl st over; repeat from * twice more. Sl the rem st on the RH needle to the LH needle; turn work. With the WS facing and using the cable cast-on, CO 3 sts; before placing the last st on the LH needle, bring yarn in front, then place st; turn work. Sl the next st knitwise, and pass the last CO st over it. Buttonhole made. Work same as for Right Button Band, except for replacing the buttonhole row with a plain knit. With larger circ needle and A, CO 6 sts. Row 1: K 4; turn. Row 5: K2togtbl, k2tog, pass 2nd st over 1st to BO. Repeat Ear Rows 1-5 on last 4 sts. 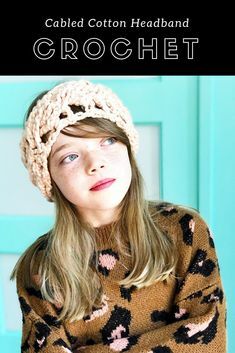 Using tapestry needle and scraps of yarn, embroider cat whiskers and eyes onto pockets; sew onto sweater body. Your model looks like someone put you in a time machine. She has to be your baby! I Love Your Patterns! 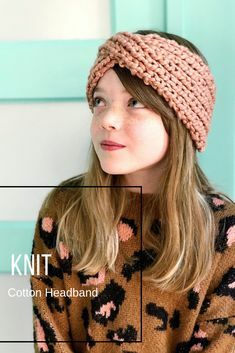 I Love That Your Patterns Are So Original, And I Can’t Wait To Make This For My Little Girl. Thank You For Sharing.